Hate directed towards Islam has motivated many Muslims in the United States to enter politics, said a Muslim lawyer and contributing opinion writer for The New York Times. 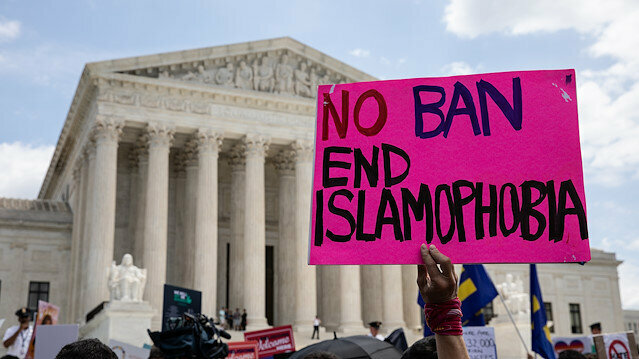 In an op-ed published Tuesday, Wajahat Ali said Muslims' presence in American politics "probably inspires fear" among those who support a ban on travelers from several Muslim-majority countries, a wall along the Mexican border and increased restrictions on refugees. Ali cited a report by The Associated Press in July which revealed that it "is precisely the bigotry and hate that has been directed toward Islam — including in remarks and tweets by U.S. President Donald Trump — that has motivated so many Muslims to enter the political arena". According to Emgage, a Muslim civil rights group, up to 100 Muslims filed to run for statewide or national office this year. In early August, Rashida Tlaib, a Palestinian-American and former Michigan state legislator, won a narrow victory in the state’s Democratic primaries, edging out Detroit City Council President Brenda Jones, and is on track to become the first Muslim woman in Congress. Ilhan Omar, a Somali-American who came to the U.S. over two decades ago as a refugee from Kenya, is expected to win in midterm elections next month, replacing Representative Keith Ellison in Minnesota. "A majority of Muslim candidates are not running with their religion on their sleeves but instead as Democrats promoting unabashedly progressive platforms," said Ali. These Muslim political veterans and upstarts are not the first to show that "deeply held religious beliefs" can inspire a commitment to social justice, he said. "But at a time when the hypocrisy of many who claim to represent the Christian religious right is especially glaring, they provide the latest reminder that being devout doesn’t have to — and shouldn’t — go hand in hand with attacks on women, minorities and poor people," he wrote. "Muslims are here, they’re running for office, and a few are going to Washington, where they’ll do something many members of Congress have failed to do for a long time: serve God by serving people," said Ali.